SAN ANGELO, TX — Two events on Tuesday signal a rough road ahead for Beto O’Rourke’s path to victory for United States Senate over incumbent Republican Senator Ted Cruz. First, the upset win by Republican Pete Flores over Democrat Pete Gallego in Tuesday’s runoff election in the heavily Democrat and Hispanic 19th Senatorial District of Texas wasn’t even close. Flores easily won by six percentage points, 53 percent to 47 percent. Second, the latest Quinnipiac University poll shows Cruz up over O’Rourke by nine points among likely voters. Gallego, who grew up in Alpine, conceded the Texas Senate race by 9 p.m. Tuesday in the district that stretches from San Antonio to New Mexico and runs along the Mexican border. The Senate seat had been held by a Democrat for 139 years. 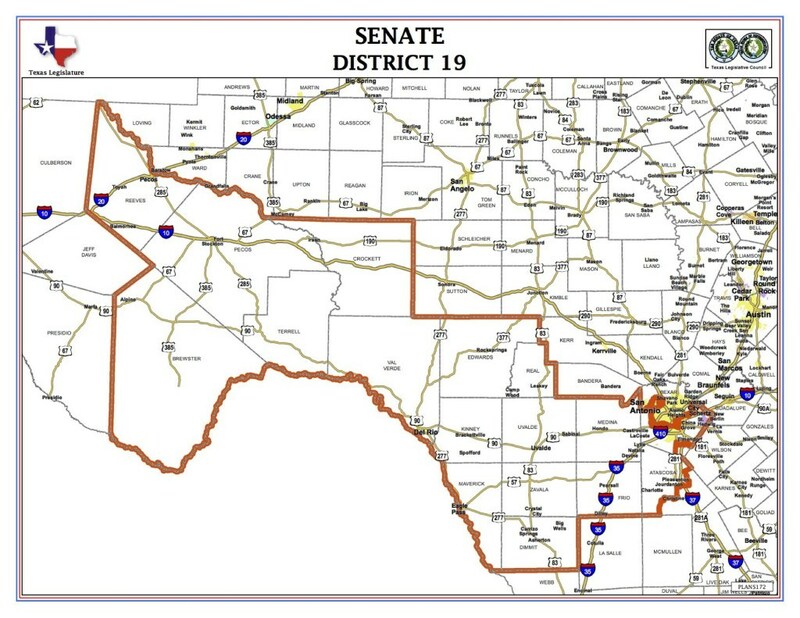 The last 19th District Texas Senator was Democrat Carlos Uresti who was convicted on 11 federal felony charges relating to his alleged involvement in a Ponzi scheme that defrauded investors out of hundreds of thousands of dollars. He was sentenced to 12 years in federal prison in June. Flores placed first in a field of eight candidates in a special election July 31. Gallego was second and the two met in Tuesday’s runoff. Flores will serve out the remaining two years of Uresti’s term. He was endorsed by both United States Senators from Texas, John Cornyn and Ted Cruz. He was also endorsed by Texas Governor Greg Abbott and Lt. Governor Dan Patrick who was with Flores last night in San Antonio for the election results. Two polls have diverging conclusions on the race for U.S. Senate between Cruz and O'Rourke. The Quinnipiac poll, mentioned above, of 807 likely voters was taken over landline and cell phones. The poll has Cruz with a healthy 9-point lead. Meanwhile, an Ipsos poll has O'Rourke leading Cruz 47 to 45 percent. The Ipsos poll was taken online between Sept. 5 and Sept. 17. It asked between 992 and 1,039 Texans online who'd they'd likely vote for and attempted to measure if they'd likely got out and vote. According to Ipsos Vice President Chris Jackson, his poll was attempting to measure enthusiasm to vote, and that may estimate how many voters will likely turn out for their candidate. O'Rourke's supporters measured high enthusiasm, certainly more than Cruz's supporters, according to Jackson's poll. Tuesday night, in the 19th District Senate race held in a borderland district that leans Democrat, the Democrat's favorite son, Pete Gallego, got stomped. Where were the enthusiastic Democrats? The results of this election doesn't bode well for Mr. O'Rourke, whose hometown of El Paso sits immediately west of that district. O’Rourke and Cruz have agreed to three debates. The first televised debate is Friday from 6 to 7 p.m. and will be televised in San Angelo on KSAN. Beto lost when he started going for guns. first he signed off on H.R.5087, and then just the other day he said he didn't think AR-15's should be sold at all. if he wins, guaranteed within a year or two he'll be pushing for an actual ban and/or confiscation. 1. Do not underestimate the silent majority. 2. Do not trust pollsters- they are the same ones that assured us Hillary would be President. I agree 100% ravenscooby. Just today, I’ve read polls showing both sides ahead of the other. Don’t believe the hype. There are far too many Beto signs in this so-called red county, to state Cruz is even close. The Cruz campaign is doing some very questionable things that I wish they wouldn’t - it’s the kind of stupid stuff that effects credibility and it’s uncalled for. Beto has already called his credibility into question by side stepping his arrests and his judge father’s influence. I find it highly ironic that Beto is saying stop the corruption and anti-morality, yet he constantly covers his past transgressions with half truths and finds that cursing at his rallies is somehow effective. His latest ad talking about banning AR-15s shows his total incompetence about firearms. No one is taking an AR-15 into theatres, churches or schools legally. A sane gun owner wouldn’t do such a thing. Clueless politicians have no right to try to regulate something they know nothing about. The knee-jerk, feel good, snowflake ideas need to stop. Most people do not engage in online polls. It is too easy to skew the results by stacking the deck with one candidate's supporters. Make no mistake. There is a strong "silent majority" who WILL vote but do not feel the need to scream at the sky telling everyone who they are voting for. Last challenge to Texas Voter ID law turned down by Federal Appelate court earlier this week is third reason Beto and every Democrat candidate might start getting sweaty palms. Beto has a significant advantage with younger (College and Millennial voters.) He has sold them that he and the Democrats can provide everything they think they want (Marijuana, free education, free health care, high paying jobs, etc) for nothing. These people have not been polled as likely voters. I can not believe Beto is beaten until I see it the day after the election. These polls are always broken. More of the look over here not there media BS. Just as Buffalo Hunter says "show me".